Soft Lions debut 7″/ep feels familiar. Part of that it reminds me of Velvet Blue Music veterans Kissing Cousins. It’s the timbre in the vocals of Megan Liscomb that remind me so much of Heather Bray. And that lo-fi indie rock vibe combined with the vocal similarities, make the comparison easy to hear. But Soft Lions is much more than a band that sounds like another band. While Kissing Cousins is dark and mysterious, Soft Lions is a rock and roll band. Waitress is a blazing rock song that opens up the record. The simple palm muted guitar and moving piano melody keep the verse calm before the hook bursts into some sort of 60’s Saturday afternoon dark beach/monster movie. There’s something upbeat and fun about the hook, but the Soft Lions keeps it dark and creates a beautiful tension. I don’t know what to feel, but I love the track! The play between the keys and guitar is so perfectly balanced on Thx 4 the Sanctuary. The steady pounding of the drums unobtrusive but perfectly keeping the song moving. The hooks have this classic vibe that’s underscored with a creepy unease. It’s like the image you have of a classic band like The Liverbirds or The Continental Co-Ets, but they’re all zombies. The album’s closer, Phantom, breaks the mold for a more introspective, somber song. It’s a calm and relaxing track, perfect for closing out a record of high energy, dark rock songs. 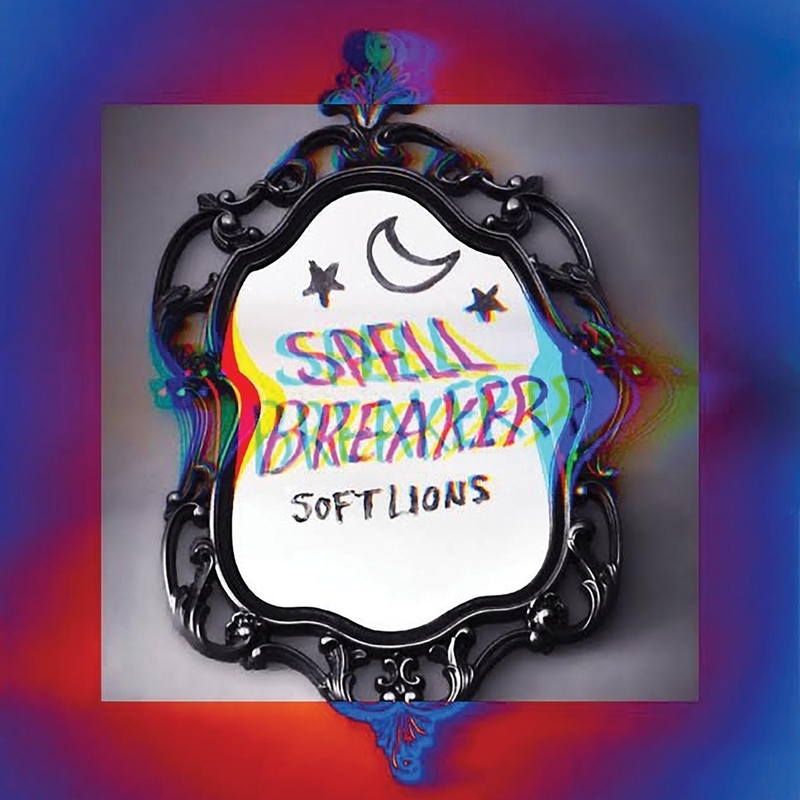 Spellbreaker is one of those records where you’re super grateful that a label like Velvet Blue Music believed in putting it out. It’s not complicated or overthought. It’s familiar, but just slightly odd enough to keep you fully interested. 5 out of 5 Stars.